Details: Arched windows with trim and crown; porch columns with Corinthian capitals; brackets at roof line of window bay, south elevation. 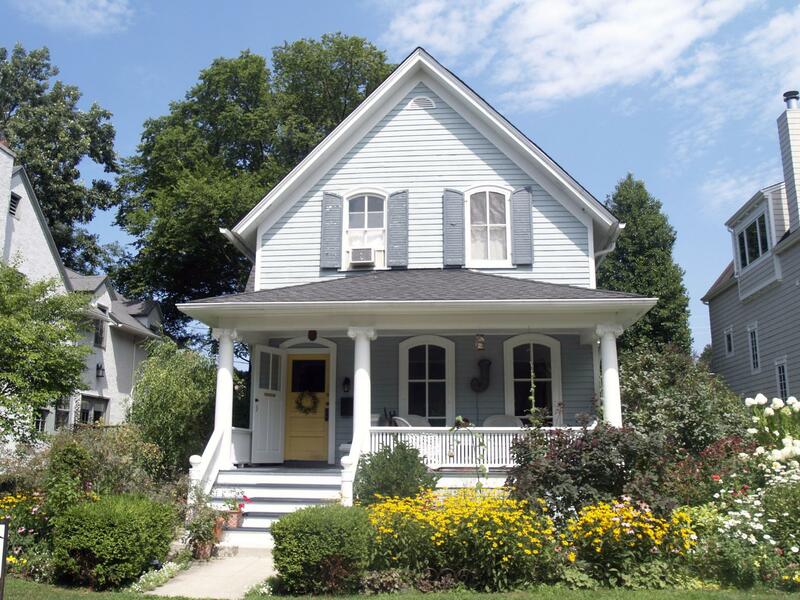 Plan: Rectangular with additions on east elevation. 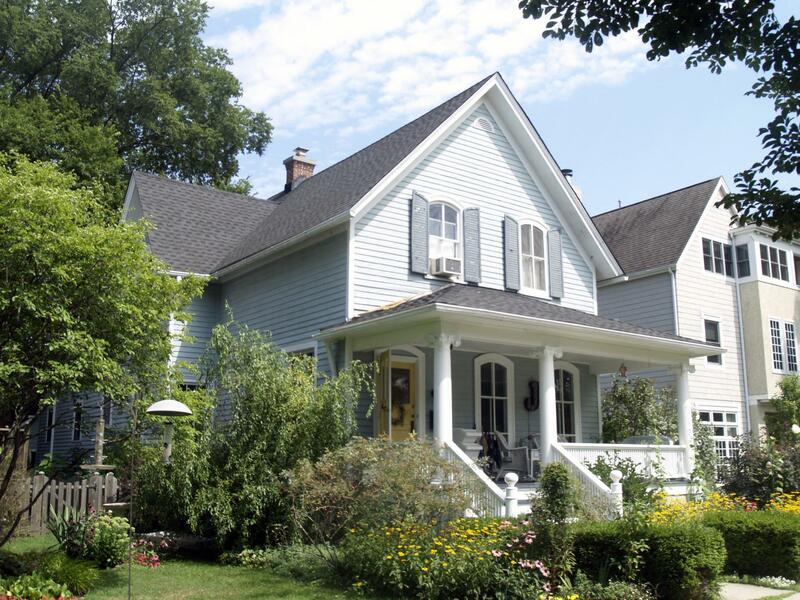 Historic Features: Full front porch with columns; gable bay on with bay window on south elevation; gable-ell extension on north elevation; Full story windows on west elevation. Exterior Alteration Permits: BP#3964, 1910.04.13, Frame por 22x8.5x14 $200 Herman Hoff - ARCH/OWN; BP#8568, 1921.01.14, 1 sty frame gar, 18x20x12h $400 Mrs. Bertha Hoff - OWN/ARCH; 13FNCE-0133: Fence; 07RFS0000000500: Roof. 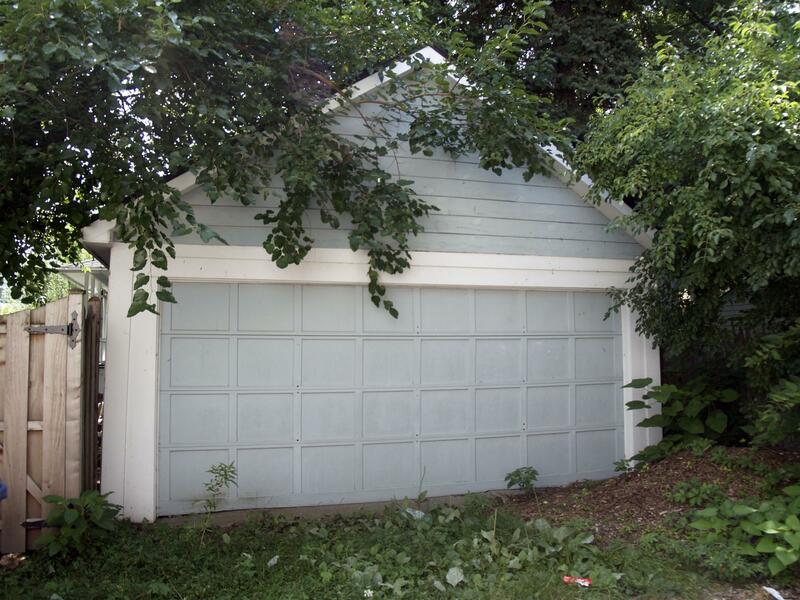 COA Info: 13PRES-0076: Replace existing wd fence on S side of yard with same style fence 4' H, replace existing gate and portion of fence on S side of gar on alley with same style wd fence and gate 6'H; 07HIS0000000229: Remove 3 layers of roofing material and replace wd deck with 1/2" CDX plywood and install ice and water shield felt and Timberline 30-year architectural shingle (charcoal blend color); 01HIS0000000123: Wind replacement and new wind openings, new roof windows at rear of house, wood double hung windows with insulating glass and one casement window.